SALT LAKE CITY — From the gold plates and the Book of Mormon to the Nauvoo Female Relief Society Leadership and Minute Book to several of the Prophet Joseph Smith’s journals and letters, the collection of 13 essays in “Foundational Texts of Mormonism: Examining Major Early Sources” (Oxford University Press, $74, 448 pages) utilizes insights from the Joseph Smith Papers and a focus on historical context to more fully understand foundational texts of Mormonism. A recent book by Philip Jenkins looks at a tumultuous time in history that contains lessons for believers trying to navigate today’s religious landscape. “Crucible of Faith: The Ancient Revolution That Made Our Modern Religious World” (Basic Books, $19.99) covers a time period of about two centuries prior to the birth of Christ to a half-century after his death. So much happened in such a short amount of time such that Jenkins refers to it as a crucible in which different world faiths were shaped. 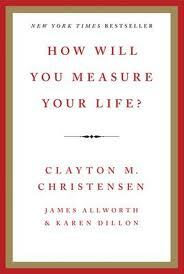 Each year, Clayton Christensen finishes his class at Harvard Business School by giving a lecture on the lessons he has learned during his life. In 2010, he was asked to give a summary of those lessons to the entire student body. Christensen’s lessons were soon being referred to in academic journals and news outlets around the world – and for good reason.